Looking to get dolled up for your big night out or maybe you’re an out-of-town visitor and didn’t bring your finest threads in tow? 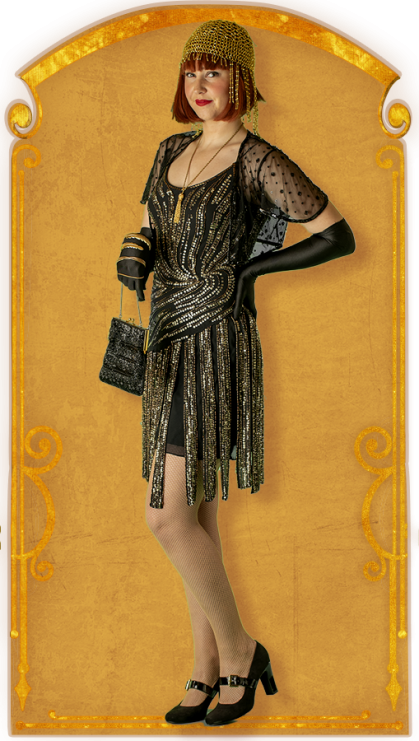 We are happy to assist in making your visit magical and complete with an authentic 1920s look! We offer rentals, sales, and accessory packages to help make your night out a special one. 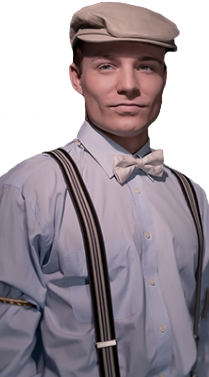 Full details regarding our costume fitting, delivery, return, deposit and more can be found in the FAQ section at the bottom of this page. There are four different types of costume rentals to help make your experience with us magical: General, Premium, VIP, or an accessory package. Our professional wardrobe staff will work with you to make you feel good and look great! We have a wide selection of styles and sizes to choose from. We will make sure your night out on the town is the cat’s meow and all that jazz. Just imagine the magnesium flashing from the bulbs of cameras… Even Theda Bara (Known as the “It” girl) would be jealous. Dressed in a sleek black-fringed dress and draped in an ostrich feather boa, don’t be surprised when people start asking for your autograph. Wool pants, a fitted waistcoat, and a twill cap create the perfect look for a typical 1920s longshoremen. The city was built by the hard work of immigrants struggling to make a future for themselves and call San Francisco home. Being the only daughter of a wealthy railroad tycoon and heir to a massive fortune has its perks! Draped in pearls and sequins, with silky white gloves and an ivory clutch to accessorize, you’ll enjoy the feeling of luxury and elegance that comes along with being a part of high society. Before the invention of the modern day grocery store, people would visit their local butcher to buy bacon and cuts of beef. 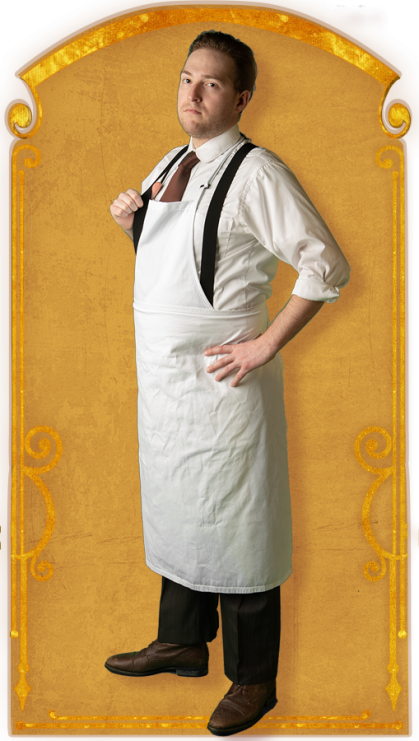 With your sleeves rolled and a long apron to boot, everyone in the club is sure to recognize their favorite neighborhood butcher. Spiritualism was in full fashion during the 1920s, and many mystics claimed to be in touch with spirits from the great beyond. This jewelry adorned costume, including head turban, will have people asking you to read their palms and look into their future. Hunched over an adding machine with ink stained hands during the day leaves any businessman thirsty. 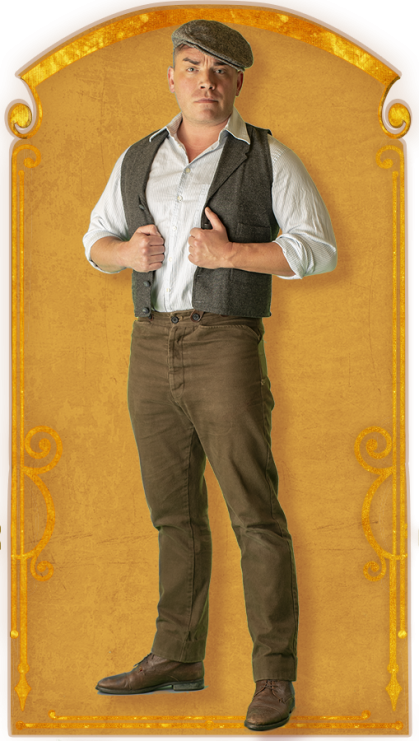 Outfitted with arm garters, braces (suspenders), a pocket watch, round spectacles and a green visor complete this workingman look. Jazz and gin are the only accessories not included with this costume. Black satin gloves, a shimmering headpiece, and a dress that accentuates curves in all the right places will have heads turned and mouths agape as you saunter effortlessly through the club. The Great War was a pivotal moment for the world. 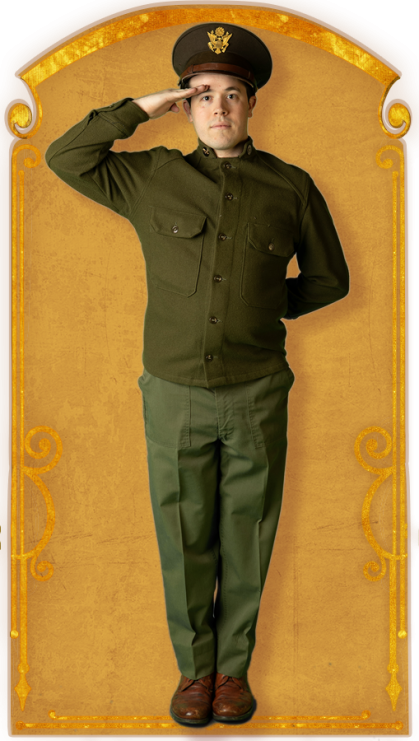 Dressed in Army Greens and complete with officer cap, this classic uniformed costumed is designed to honor the memory of all our soldiers. When you rent a VIP Costumed Character, not only do we dress you to the nines, you also get special treatment, extra goodies and a guaranteed scene with one or more of our cast members. These are perfect for big celebrations or those who want to make sure they are a part of the action! 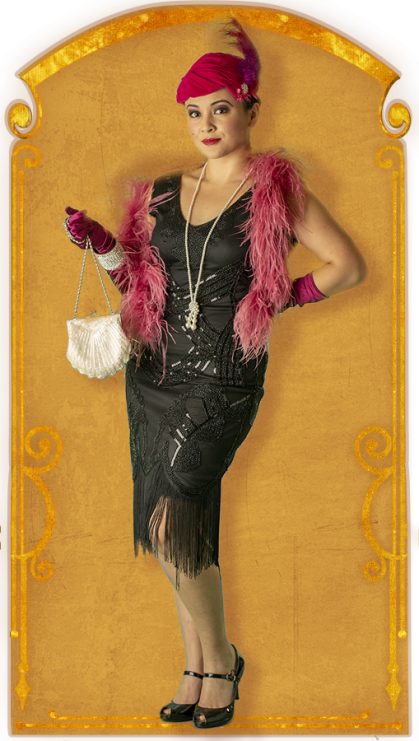 If you already purchased tickets to The Speakeasy fill out this form by clicking the RENT button below to add a VIP Costumed Character to your ticket order! 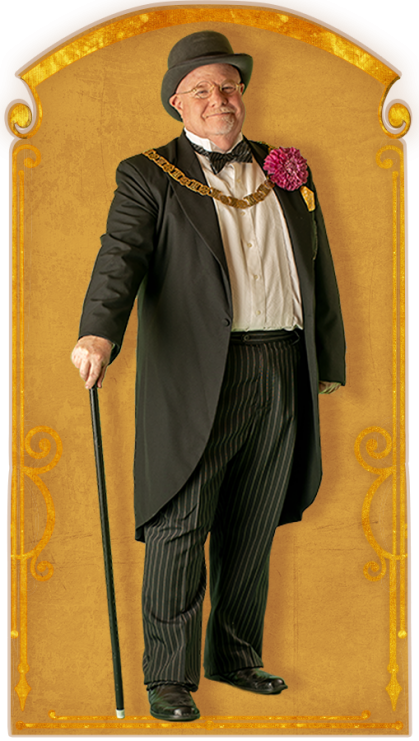 As San Francisco’s Mayor Sunny Jim, you’ll be dressed in a formal vintage costume complete with magisterial insignia. 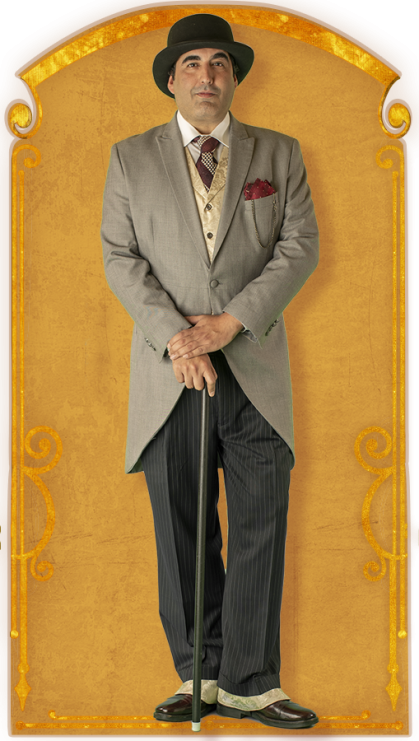 A VIP Booth will be reserved in the Cabaret for the first Vaudeville performance, plus you’ll receive a double stack of casino chips for you and up to four guests. Caviar will be delivered to your VIP Booth as our celebrated guest, and your first four drinks are on the house. Share with your party, or use them yourself! But it’s not all fun and games, there is business to discuss and at the appropriate time, you will be brought to Sal’s office for a private meeting (Due to the nature of the business meeting, details cannot be made public). Only one available per performance. Slip into a tuxedo adorned with a top hat, cane and spats, and get ready for the Midnight Ride at Ingleside! 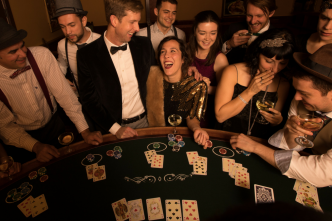 As The Racehorse Owner, you’ll receive up to 4 premium reserved seats in the Cabaret for the first Vaudeville show, as well as a bottle of bubbly. Keep your eye on our Director of Hospitality, Mickey, who will bring you into the office at the designated time to tune into the big race on the radio as your friends watch on. Already have a costume but could use a little extra flash? 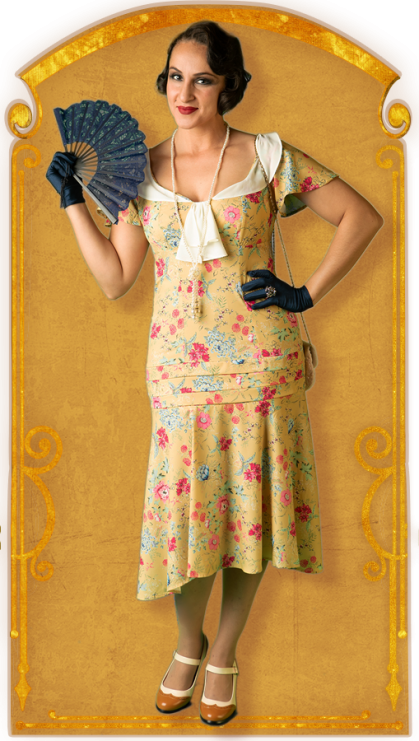 Adorn your existing glad rags with accessories to make yourself look hotsy-totsy! 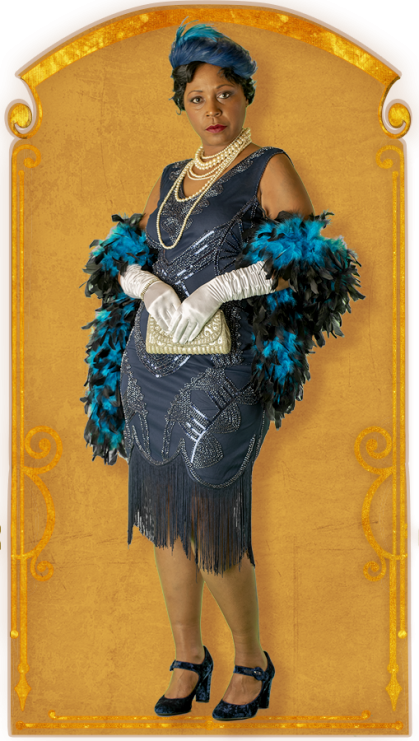 The Flapper package includes: Headband, gloves, and costume jewelry. The Dapper package includes: bow tie, suspenders, and hat. The Dressing Room specializes in vintage clothing and costume sales. 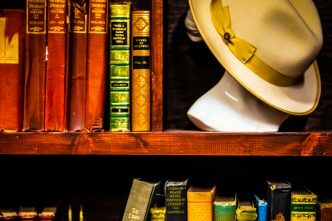 We have a unique selection of one-of-a-kind items ranging from shoes, hats, shawls, dresses, suits and more! We also offer a variety of accessory packages to help complete your look. Visit The Dressing Room for more details and options. How far in advance can I pick-up my costume? As early as the Monday before your scheduled performance (subject to availability). I don’t live in San Francisco, can you mail my costume rental? Yes! 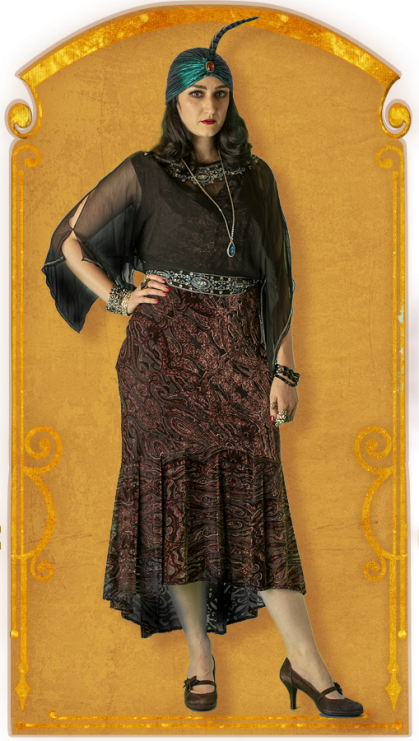 For an additional fee (based on actual shipping charges) we can mail the costume to you. **Please note, as with any online or catalog clothing purchase, there is a possibility of fit issues. Make sure you are as accurate as possible when sending sizes. Can I just change at the venue immediately before my performance? Yes! Located at 748 Broadway, The Dressing Room has multiple changing rooms and a designated area to store your street clothes. 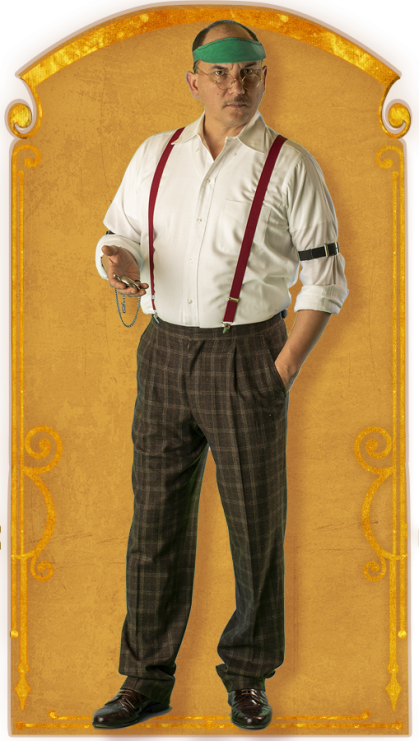 We will give you a 4 hour window to get into costume before your Speakeasy check in time. No. However, with each rental there is a contract that must be signed before releasing the costume. The contract clearly states the replacement cost of each item, and notes that if anything is damaged beyond repair, not returned, etc, the card on file will be charged the amount stated on the contract. I have a basic costume but could use some sprucing up. Can I rent just the accessories? Yes! We have accessories packages available for rent at $30, and for purchase at $50. The women’s package includes: Headband, gloves, and costume jewelry. 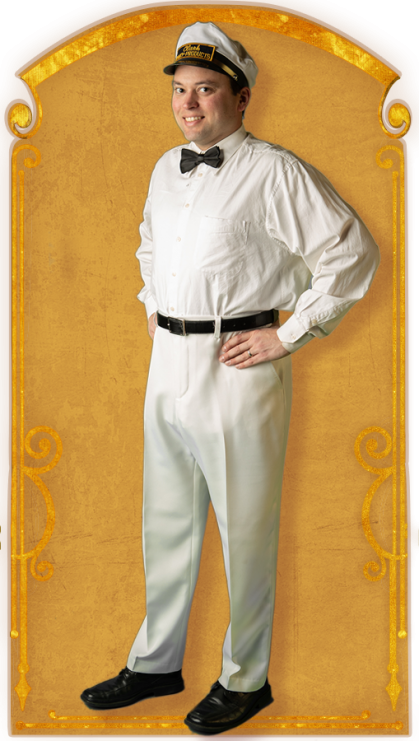 The men’s package includes: bow tie, suspenders, and hat (top hat or derby for rental; newsboy cap for purchase). Visit The Dressing Room for more information. Is there really a dress code? Yes. Our dress code is strictly enforced on Saturday, and optional on other performances. However, we encourage all of our patrons to dress up no matter what date they are attending to be fully immersed in the fun. 1920’s apparel is preferred, and cocktail attire is also acceptable. Cocktail attire includes a button down collared shirt and tie with slacks and dress shoes; or cocktail style dresses and dress shoes. Tennis shoes, yoga pants, T-shirts, denim, or other casual clothes are not considered acceptable on Saturday evenings. Patrons who are dressed up are more likely to be chosen for audience interaction.